The Secretary of the Commonwealth summarizes the ballot questions in the 2018 “Information for Voters” red booklet which was mailed to the homes of registered voters. Download a pdf of the 2018 “Information for Voters” red booklet. For each question, the information includes the question number, short title, question, summary, what your vote will do, statement of fiscal consequence, arguments in favor and against, and the full text of the proposed law. If you vote yes, you are voting to approve the full text of the proposed law. If you vote no, none of the law will be enacted. The Massachusetts Legislature has the power to amend, repeal, or re-instate any laws passed or repealed by ballot question. For Question 1, in addition to the Information for Voters, a panel of 20 citizens convened as part of a Citizen’s Initiative Review to develop information about what every citizen needs to know to vote on this question. See the CIR statement on Question 1, and the process used to develop it. 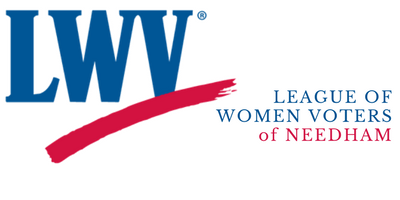 Watch the Needham Channel video of the LWV-Needham Forum on Ballot Questions 1-3.